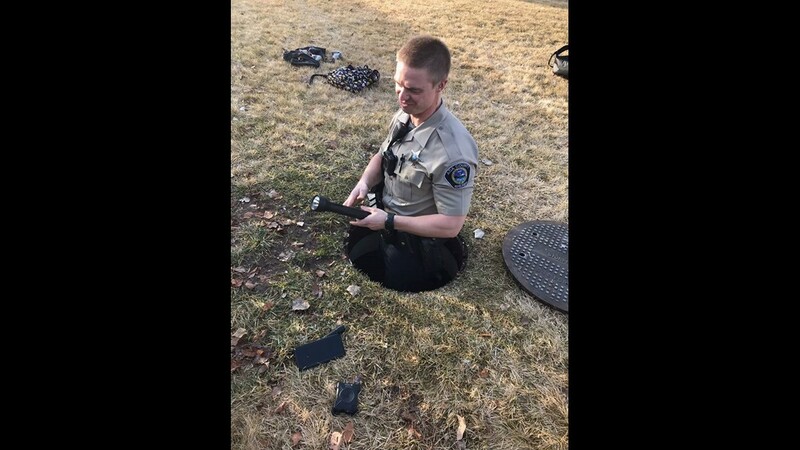 Star police officers Sean Dalrymple and Alan Speakes went above and beyond the call of duty to rescue a dog that became trapped in a storm sewer. 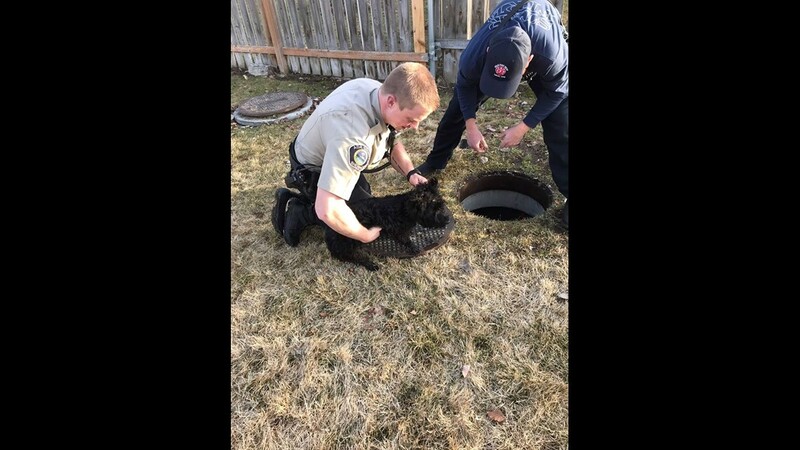 The most recent rescue happened Saturday when officers Sean Dalrymple and Alan Speakes took turns going head-first into a manhole to save a trapped Scottish terrier named "Ferris." 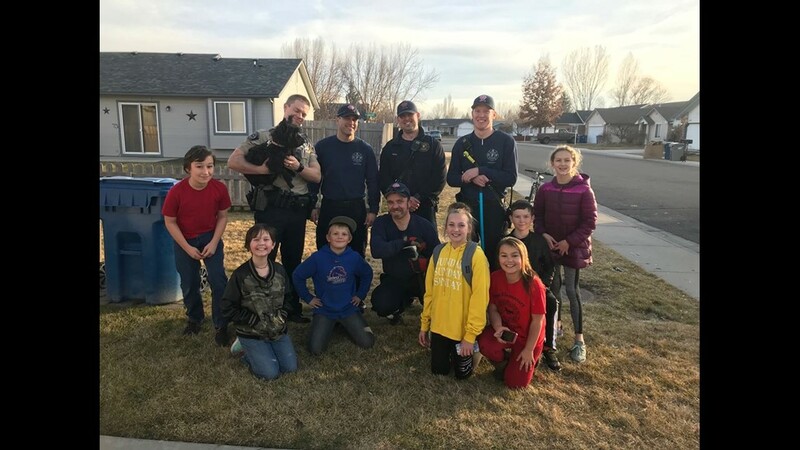 STAR, Idaho — Two Star police officers keep finding themselves rescuing dogs in distress. 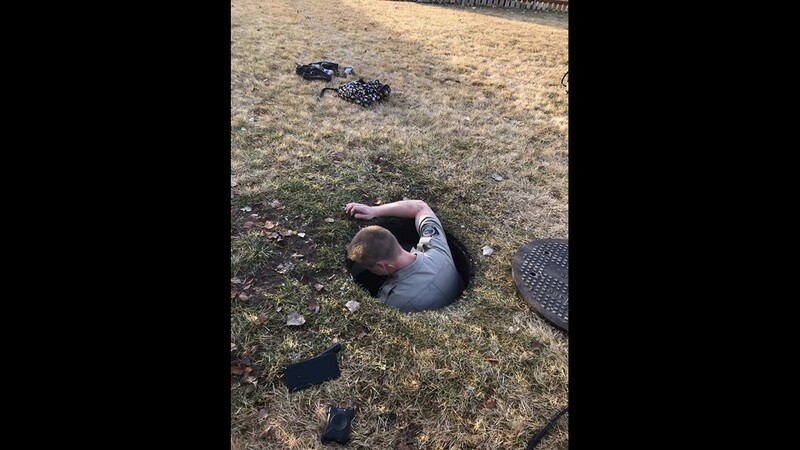 A little more than a week after coming to the rescue of an injured German Shepherd along Idaho 44, officers Sean Dalrymple and Alan Speakes saved a dog that had fallen into a storm pipe. 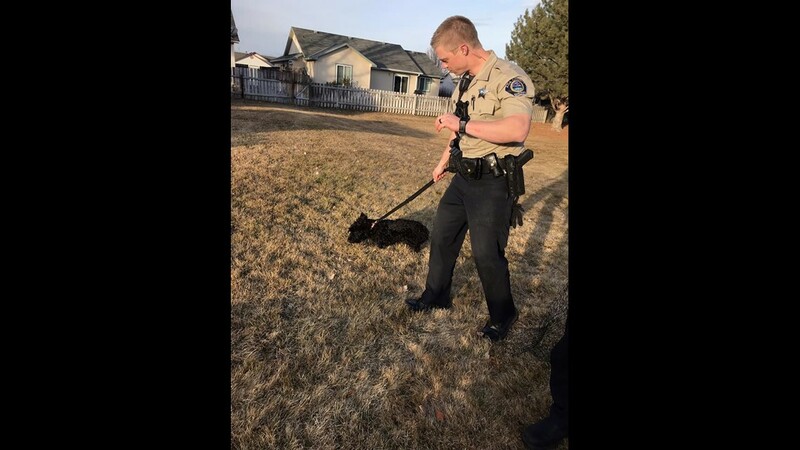 According to the Ada County Sheriff's Office, the Scottish terrier named "Ferris" broke free from her yard near Star Elementary School on Saturday. The pup apparently dug under the fence to make her escape. She then wedged herself through some bars on a nearby storm drain. Once Ferris got in, she couldn't get out. Some kids who saw her get into the predicament called for help. Members of the Star Fire Department arrived first but couldn’t locate Ferris, who had gone deeper into the storm sewer. 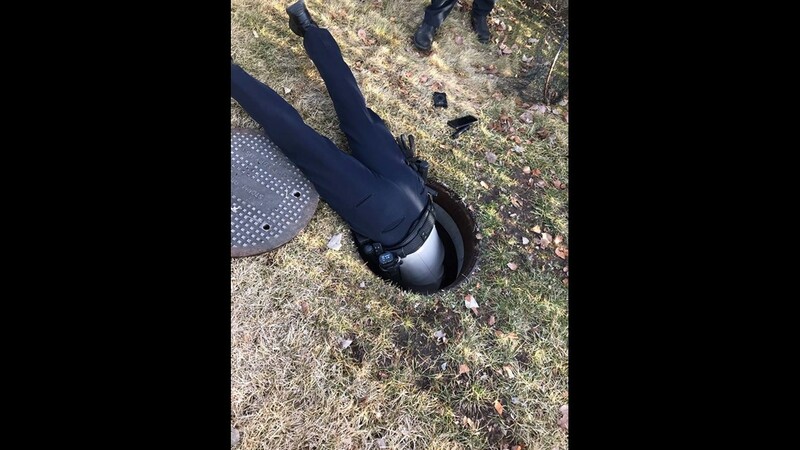 When Speakes and Dalrymple arrived on scene, they took turns going headfirst down a manhole, about a hundred yards from the storm drain, in an attempt to find the pooch. Eventually, Dalrymple spotted a pair of eyes in the darkness and used dog biscuits to lure Ferris to him. Once he got ahold of the little dog, Speakes and firefighters grabbed Dalrymple by the belt and got both officer and dog out of the sewer. 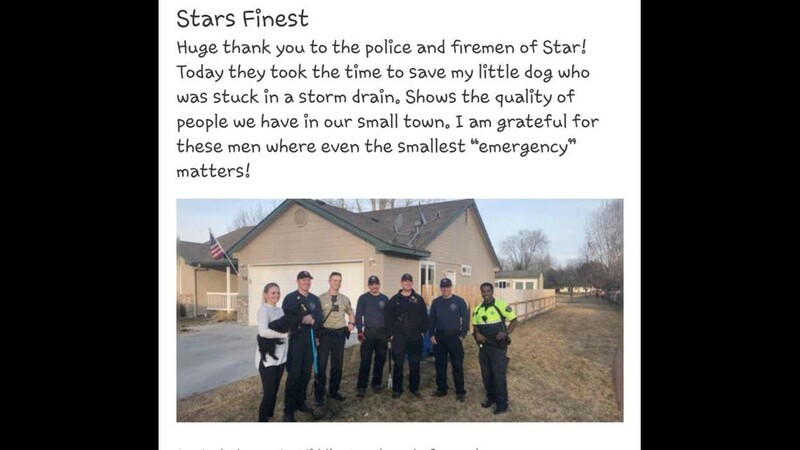 The dog's owner posted on social media, thanking the officers for their help. "Shows the quality of people we have in our small town," the owner wrote. "I am grateful for these men where even the smallest 'emergency' matters!" It was the second dog rescue for the pair in just over a week. 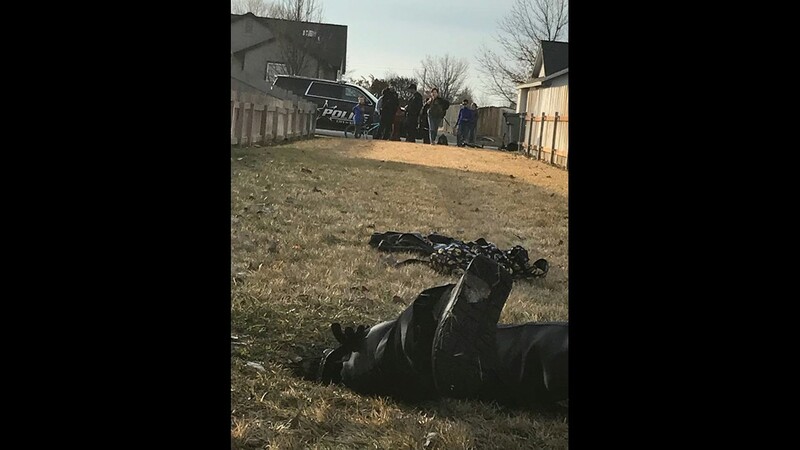 According to ACSO, Speakes and Dalrymple were driving down Highway 44 on January 22 when they saw what they first thought was an injured coyote laying in a field. When they walked up, the saw it was actually an injured German Shephard. The pair loaded the dog up and took it to the Star Veterinary Clinic on State Street, where it was treated and reunited with its owner.